There seems to be a great amount of confusion on the part of those who are, or who think they are and those who really aren’t, but say they are; as to what qualities and qualifications are necessary to hold the position of a Chief Financial Officer. There are accountants, controllers/comptrollers, VPs of Finance, public accountants, auditors and Chief Financial Officers. Just because you are a member of one or more of the aforementioned groups, even if you have the title of CFO, does this qualify you as a CFO? Who determines what a CFO is or does? Now, there are many definitions of what is a CFO. These definitions come from disparate constituencies such as CFOs themselves, Human Resources, Recruiters, Academia and public accountants. Each constituency has their own reasons for creating these definitions. Some based in reality, some not. Some to increase their perceived power or prestige, others out of sheer ignorance. However, the faction we seldom hear from are those who are actually the people who need to work with their CFOs day in and day out, the CEOs. Now there are many different types of CEOs. There are the entrepreneurial CEO, who is the owner, a partner and/or founder. All-powerful and controlling their businesses could literally be morphing on a daily basis. They have their unique definition, based on their perceived needs. Then there is the CEO of the more mature mid-cap company. While the company may have many attributes of an entrepreneurial atmosphere, the company has more structure with official policies, rules, procedures and processes. 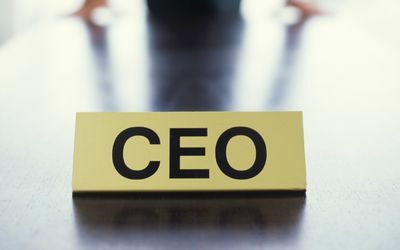 These CEOs have their definition as the CFO role has probably changed. Lastly, there are the larger mid-cap to large-cap companies who are steeped in bureaucracy, structure, where policies and procedures are foremost in the mind, even when they are crippling at best. And yes, the definition of a CFO may be unique here as well. Let us not overlook that any one of the CEOs may have to take a step to the left (thank you Richard O’Brien) because they are owed and/or controlled by Venture Capital or Private Equity. That changes the dynamic and the definition of who the CFO may report to, and thus the qualities and qualifications of CFOs in this space. We can’t overlook the public companies either, which may be of any size as well. These companies and their CFOs have similar but different requirements. So who is right? I can say, from what I’ve seen, who is usually wrong, but I won’t. Why? Because that would be tainting the conversation. I want to hear from the Chief Executive Officers themselves. I am not hiring me (the CFO), but you, the CEO should be (hopefully it is the CEO/Board, not HR). I want to hear what the CEOs think and why they think their requirements are correct. I want to know why “industry experience” is so crucial, where over 90% of all businesses are similar, that a smart person (we hope we all agree that the CFO should be a smart person) either can learn or lean on subject matter experts (SME) for what they don’t know, in the short term, but in reality always, because that is the definition of a SME, they are the experts. Given the sheer span of the responsibilities of a CFO, regardless of company size, how can one person be an expert on it all? I mean, no one demands that an attorney know everything (that is why they specialize). Same thing for the medical profession and believe it or not, public accounting. Think about it, you as the CEO rely on your C-Suite to assist you in performing your job. Isn’t the role of the CFO to make informed decisions on all available information? Wouldn’t a smart CFO seek out information and opinion to either inform themselves on an issue they don’t know as well as they should or just to broaden their grasp on an issue. Whom do they seek out? SME’s. Let us return to industry experience for a second. If you only want to hire from within an industry, sector, or sub-sector, how do you gain diversity in thought and experience in your business? I mean, if I only worked in the widget industry and everyone makes left-handed widgets; where is the innovation. Who would ever think of making a right-handed widget and if they did, could someone steeped in the culture of the left even give anything but a short shrift to the right-handed business case? Diversity of experiences which includes education, work experiences, post-nominals for what they are worth, are part of what makes that a single CFO better than the next for a particular position. Their (the CFOs) ethics, ethos, working paradigms and management style are just as important. Nothing can be worse than hiring an individual who clashes, thereby diminishes or eliminates all value add. Even in change management, it is easier to succeed with the project by winning the hearts and minds of the employees as opposed to being dictatorial. Is hiring to company culture important? It depends on what the CEO and Board need to get accomplished. The same is true as to whether one needs a tactical CFO or a strategic CFO. However, if you are hiring a tactical CFO, what are the other members of the accounting/finance leadership team doing? While all strategic CFOs do get involved in tactical issues, that is a far cry from hiring someone who becomes mired in the day to day events to the exclusion of the strategic issues that businesses must tackle. Let us start the discussion! So Mr. and Ms. Chief Executive Officer. What do you see in the general sense, the macro big picture scenario of your ideal CFO? Then, since the ideal is usually a utopian concept, make it a real definition. Flush it out with what would make the real candidate for your industry, sector or business. Then look at some of the definitions you find describing the job description and qualifications needed for a particular CFO. Just like school, compare and contrast. As the discussion grows, and I truly hope it does, has your point of view changed? Please let those of us who are CFOs today or aspire to be the CFO tomorrow know what is real and what is not, so we know where we stand or need to stand to make positive contributions to your companies and our [professional] lives. Next Post: Who really makes the Budget?